Death is not the end. Where there is a will, there may be a lawsuit. A concluded contract may mark the beginning of a lengthy and costly civil suit. The sunset days of a company or an individual when they are insolvent may be the dawn of many legal proceedings. Bread and butter issues remain. Who has priority over the assets? Can the estate of the insolvent party claw back any money paid for undue preference of creditors or cancel any fraudulent transactions? Worst still, can a director be personally liable for the debts of the insolvent company. Are there potential breaches of fiduciary allegations and shareholder issues? Can you conduct a civil trial in person? This is the reality of life. You need answers. We can help. To answer these questions, you may need the advice of a business lawyer in Singapore, and we can help. Why wait until you are sued? In civil and commercial litigation, recovery of money as damages is the most common remedy. However, you need to know that it is not the only remedy, and a commercial lawyer in Singapore will be able to advise you on the other measures you can take. When two or more individuals or companies are in dispute over any issues that have reached a dead end, litigation may be the only way out. The plaintiff, who is the person who commences a civil action, seeks a legal remedy to enforce his rights. The Defendant, who is sued and intends to defend the civil action, is entitled to raise his defences or counterclaim against the plaintiff. Civil or commercial litigation generally arise from contractual or construction disputes, employment disputes, landlord and tenancy disputes, corporate governance, breach of fiduciary duties, the sale of defective goods or supply of defective services, negligence or infringement of copyright or trade-mark. It may involve complex issues of corporate and intellectual property law. Prevention is better than cure. Why wait until you are sued? Right from the start, besides contract law, our civil litigation lawyer in Singapore has the expertise to advise you on corporate and intellectual property law and help you customize the contract to avoid potential pitfalls. Winning a civil case or obtaining a civil judgment is not the end. It may be the beginning of a long road of enforcement proceedings. What method of enforcement do you choose to compel the judgment debtor to satisfy the judgment debt? Difficult decisions. We are right by your side. If you are a judgment debtor, can your bank account be frozen? What about your assets? Can they be seized and sold? Can your bed be snatched from under you, if you have agreed to guarantee another person’s debt or put up security or guarantee for someone else but can’t pay? 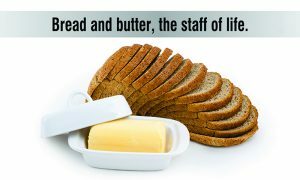 Bread and butter questions. Your extremity can be an opportunity. Our litigation lawyer in Singapore offers you not just answers but solutions to meet your specific legal and business needs. We have an eye on the big picture and costs while paying close attention to details. We offer you efficiency, creativity, focus and wise counsel. How? You can draw from the well of our legal experience in both criminal and civil litigation at a reasonable cost. Many people want to sue as a matter of principle, but principle has a price. Besides time and stamina, are you prepared to pay the costs of litigation? Are there other less adversarial, less expensive and less stressful ways of settling a dispute? Yes, of course. There are other types of alternative dispute resolution. We adopt a holistic perspective to strive for the best outcome for you – because every case is different. We resolve to fight a good fight of facts – and faith in both legal and divine justice. You are not alone. Just give us a call or drop us an email. It can make a difference.